Electricity is invisible, dangerous and unpredictable – you cannot see when something is 'live'. The risks associated with an unsafe electrical installation are high – many fires are often attributed to electrical faults. That is why it is so important for electrical work to be carried out by electricians with the appropriate licence. In WA we have a regulated licensing system in place to ensure only competent workers carry out electrical installing work. Only those that meet competency standards are licensed. A disciplinary process is also in place to ensure that only competent persons remain licensed. 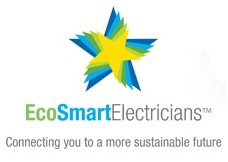 Only electrical contractors are authorised to employ electricians. We've been operating for over 35 years and it shows in our EC Number – EC00171 – it’s proof we have the experience to solve any electrical issue. If you believe you have some 'less than satisfactory' electrical work, call us immediately as you and others may be at risk. We also provide electrical safety inspection and testing reports for any home or commercial premises. Do you have adequate insurance for the work? Do you have references for other work? If you're unsure, don’t risk it.